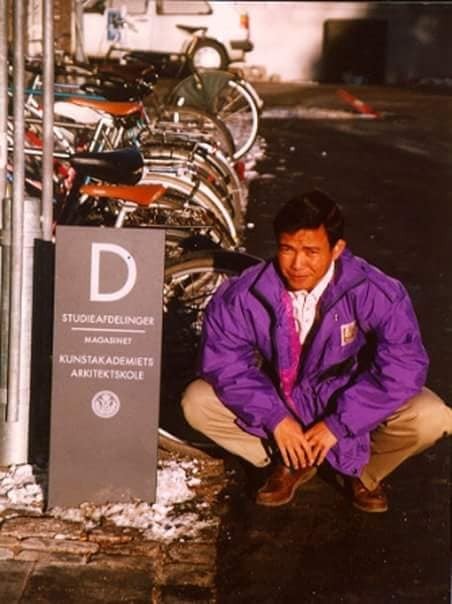 I got a fellowship from Danida for a short course on furniture design at Royal Danish School of Fine Arts (Arkitektskolen) in Copenhagen, spring semester 1997, with five other young Indonesian designers and lecturers. Learning furniture design at its best was an unforgettable experience for a lifetime.It was the greatest thing happening to me living in Denmark, the first foreign country I've ever visited and stayed for a semester. As a guy from a tropical place, it was amazing to come to the northern part of planet earth, felt winter with snow everywhere which I saw for the very first time. I was so happy that I was met by so many friendly Danish people. Denmark is small, compared to Indonesia, but a cool and very beautiful country. I stayed at DFC with fellows from all parts of the world: from Africa, Latin America, Asia and the Middle East. It made me grateful for the opportunity that was given to me. After returning from Denmark, I suddenly became a story teller, I wrote my first romance novel, Louisiana Louisiana (Published by Grasindo, 2003) in Indonesian language, and my thesis in Master Program at ITB Bandung was on Danish modern furniture design. As lecturer, I always tell my students about Denmark and Danish and Scandinavian design. Mange tak for opening the world for me.